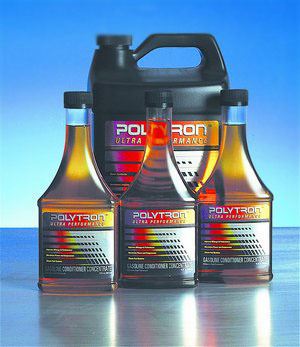 ﻿POLYTRON Full Synthetic Motor Oil. Best in class. Order online! Earn up to 760 Points. 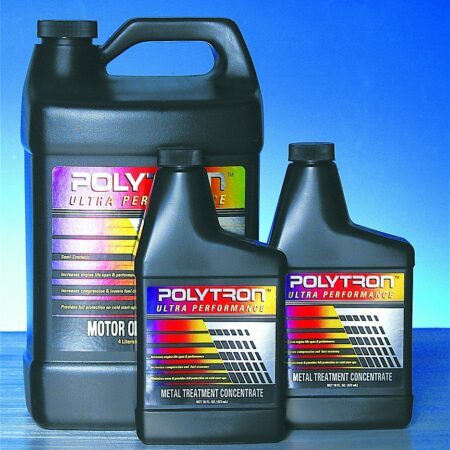 In addition to a standard additive package that is used in typical synthetic motor oils, Polytron full synthetic motor oil contain our Polytron “Metal Treatment Concentrate” (MTC), a complementary additive package, which is a break through in micro-lubrication technology. Under heat and pressure, MTC additive package converts metallic friction surfaces into wear-resisting, “smooth” surfaces resulting in much lower friction and much longer wear-life. This technology combined with fully synthetic motor oil, contributes greatly to slower oil oxidation and much lower concentration of wear and combustion contaminants, resulting in much longer service intervals compared to other synthetic motor oils on the market today. Over the last 13 years that the products were on the market, many commercial heavy duty vehicles (like trucks, cabs etc.) have accumulated more than 2’500’000 km without breakdown and overhaul, with oil change intervals of 50’000 to 80’000 km and more and 4 to 7 times longer service intervals in engines of stationary equipment like electrical generators, pumps, etc., and heavy duty equipment in earth moving and mining operations. 15W-40, 10W-40 Polytron full synthetic motor oils: Exceed API Service Classification CJ-4/SL, European ACEA E7 and Asian JASO DH-1, and are highly recommended for diesel engines using high sulfur fuels. Also recommended for use as “long drain” motor oils. Especially cost effective when used in conjunction with an effective used oil analysisprogram. Recommended for all turbo-charged engines. Not recommended in engines with silver bearings. *We highly recommend you to follow manufacturer’s suggested maintenance intervals. Please view Polytron MTC product page for more on expected gains here. 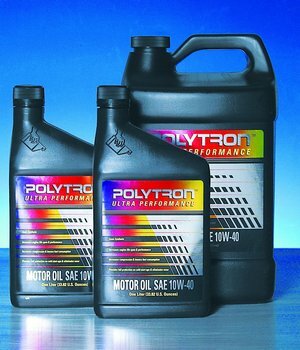 Polytron full synthetic motor oils are Designed to meet the latest car manufacturers warranty requirements and the demands of the small displacement high RPM fuel efficient engines found in today’s domestic and foreign automobiles. These engines experience higher operating temperatures and require a motor oil which offers maximum protection against both viscosity and thermal breakdown. Formulated mainly for use in passenger cars and light duty trucks with diesel and gasoline engines where SAE 10W-30 and 5W-40 are recommended by the manufacturers. Exceed API service requirements SM. May triple or quadruple engine life span. Contribute greatly to fuel and oil economy. Over the last 13 years that the products were on the market, many commercial light vehicles (like taxi cabs) have accumulation more than 1’600’000 km without breakdown and overhaul, with oil change intervals of 50’000 to 80’000 km and more. Caterpillar, Cummins, Fiat-Allis, Ford, GMC, Isuzu, John Deere, Mack, M.A.N., Mercedes-Benz, Mitsubishi, Scania, Volvo, DAF, DaimlerChrysler, Detroit Diesel, Deutz, Fiat / Allis, Hino, Isuzu, Iveco, J.I. Case, Komatsu, Kubota, MTU, Navistar, Nissan, Renaut and others. Heavy Duty Trucks, Busses, Electrical generators, Earth Moving Equipment, Pumps, Off Road Equipment, Farming Machinery, Mining and Smelter Equipment, Rail Road and many more. Equipment operating under severe service and wide range of climatic conditions. Saving on oil consumption due to extended oil drain intervals, and on fuel due to smoother and cleaner engine operation. Life Span of engines is dramatically extended deferring for years the cost of investing in overhaul or in purchasing new equipment. Can be used in older engines, as well as in today’s most modern low emission new engines. 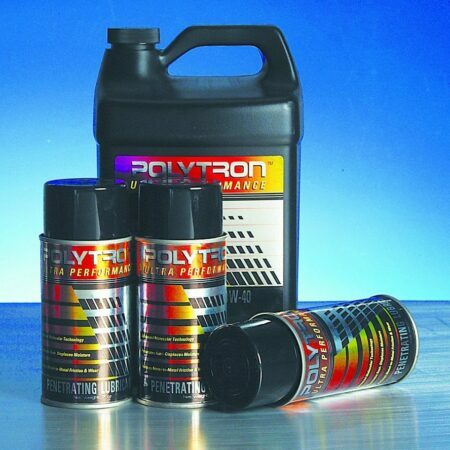 Polytron Synthetic Blend Oil combines supreme synthetic and base lubricant with our Polytron MTC for maximum protection and performance gain. Similar to our Full-Synthetic Oils, but at lower cost. An investment you cannot go wrong with. In addition to a standard additive package that is used in typical synthetic motor oils, POLYTRON Synthetic Motor Oils contain our POLYTRON Metal Treatment Concentrate (MTC), a complementary additive package, which is a break-through in micro-lubrication technology. 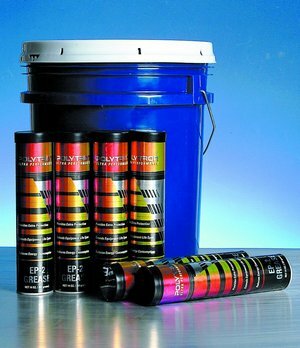 Under heat and pressure, POLYTRON MTC additive package converts metallic friction surfaces into wear-resisting, “smooth” surfaces resulting in much lower friction and much longer wear-life. Various API approved grades and types available.